​At Wharfedale Eco Cleaning we provide a consistent and reliable commercial kitchen and restaurant cleaning service, which we are confident will suit your business needs. Whether its your kitchen deep cleans, TR/19 extraction cleaning or kitchen and front of house floor cleaning you require, please feel free to get in touch with us for a free, no obligation quote or if you would like more information on these services, click here. 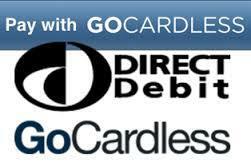 Wharfedale Eco Cleaning provide a monthy wheelie bin cleaning service, at your property for only £4.50 per month. After your bin has been emptied, we pressure wash your bin inside and out , dispose of any waste water within our purpose built vehicle, dry your bin and spray it with our re-freshing deoderiser disinfectant, so your bin will be clean as ever and will smell as good as new. Please feel free to contact us if you would like to book our services or if you would like more information and for the areas we cover, click here. 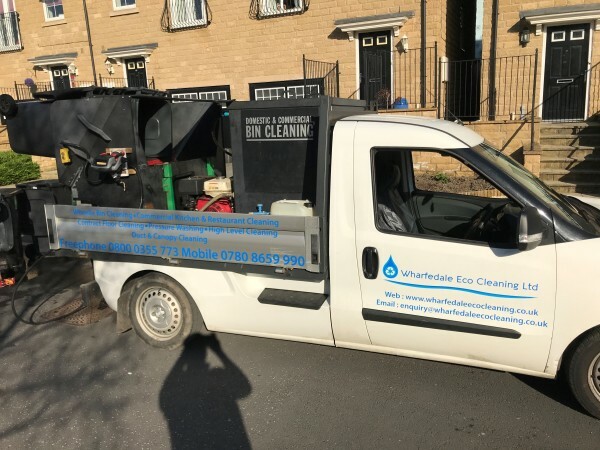 All rights reserved © Wharfedale Eco Cleaning Ltd.
Wharfedale Eco Cleaning Ltd provide a 4 weekly commercial bin cleaning service across Bradford & Leeds. The Process: After your bins have been emptied, we pressure wash your bin inside & out, elevate to dispose of any waste water within our purpose built vehicle which has specialist lifting equipment, then we dry, deodorise / disinfect your bins & return them your to your business, smelling good as new! Please feel free to contact us if you would like to set up this service or if you require any more information. (Prices below include vat). At Wharfedale Eco Cleaning we provide a routine contract floor cleaning service, which we are sure will satisfy your business needs. 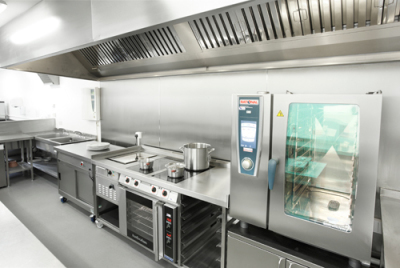 At Wharfedale Eco Cleaning we offer a full commercial kitchen extraction system cleaning service, which we are trained and insured to carry out to comply with B&ES TR/19 standards. 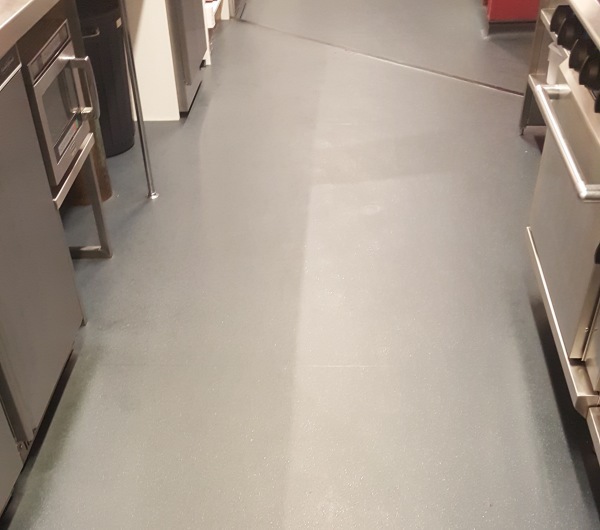 At Wharfedale Eco Cleaning we provide a full commercial kitchen deep cleaning service, so your kitchen will carry on running with optimum cleanliness. We Provide a Patio, Driveway & Decking Pressure Washing Service. Please enter your contact details and your enquiry below. We will aim to respond within 24 hours.